PN: Hi, Rik. Nice to meet you. RVB: Yes, good to be on the phone with you again. It's been a while. Peter, if you don't mind - most people will know you - but, would you mind introducing yourself a little bit for people that don't know you yet? PN: Yes. 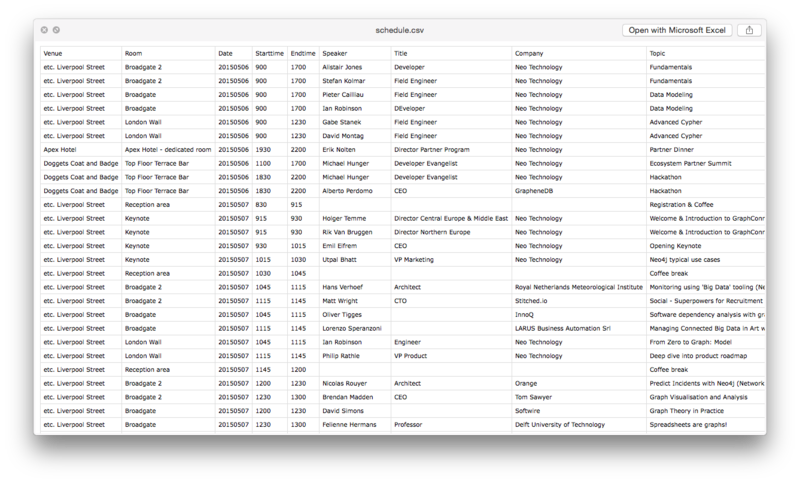 Regarding Neo4j, I'm one of the three founders of Neo4j together with Emil and Johan who are currently working on Neo Technology. Actually, it was us three who came up with the first version back in 2002 and wrote the first version that went into production. RVB: That's a long time to go, huh? PN: That's long time ago, yes - 13 years. RVB: Absolutely. It's been quite a ride. How did it start Peter? How did you guys get into Neo and where did it come from? RVB: Didn't they get acquired by IBM, Informix? They did, right? PN: Yes, they did. And this was the last version, 9.14, that came out before they were acquired. And we were trying to model our business logic in that engine and it just didn't scale. We got into like five, six joins, and even with the, at the time, modest data in that database, it was just taking ages, like minutes, to get answers back, and that's not good enough for a backend that needs to surf on the web. At that point, we examined our system architecture and found out that the database was the bottleneck. And we also at that point had some of the Datablades or plugins to Informix, and one of them was dealing with the semantic words for translation, namely WordNet, a semantic initiative to structure the English language. And that kind of projected in network model off these connected words, like hyponyms and synonyms and concepts into the database. And we saw that and thought like, "This is a very interesting approach to model data." It's very close to the UML diagrams and so on, if you translate it to our domain. We tested that plugin for our domain just to see if the model fit, and it did. However, it was still slow, so since it was such a beautiful match, we then went about and actually wrote, at that point, a Java Enterprise JavaBeans, 1.0 implementation that modeled that kind of structure what is now-- and that actually had the first kind of Java version of what is now the Neo4j API, all these fleshed out. 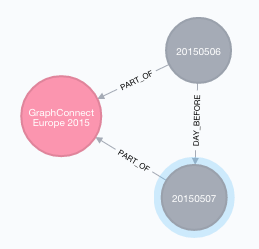 RVB: Did you call it a graph API at the time, or do you call [crosstalk]? RVB: What did you call it at the time? PN: We called it a network database or network engine, and that's where Neo partly comes from. Of course, the matrix is very popular but it also stands for network engine of course, so we had to make it work [laughter]. RVB: Fantastic, okay. I don't know if I've ever told you that, but one of the projects that I've first worked on was a project for DHL which was also using Informix Datablades. PN: It was a very good database. RVB: Super. Where are you now, Peter? What are you doing now? You're working for a new startup, right, Mapillary? PN: Yes. I left Neo Technology last year, mostly because I found-- I'm and early startup guy and Neo4j has a big group of followers now and there's so much activity around it so my feeling was that I can't invest my time in something that is, again, almost impossible, so I joined Mapillary as a co-founder and the vision there is to do a visual representation of the whole earth possibly even a 3D model connected to it. So that's what we're doing. People are submitting basically thousands and thousands of images taken by their smartphones or action cameras and so. And we in the background do a lot of computer vision and analytics on this data and we connect the images into what could be described a big, global, giant graph of visual information. So Neo4j is an essential part of the architecture there. RVB: Oh, is it? What do you use it for? What do you use Neo for? RVB: Super. That's really interesting. I think people can get involved with the Mapillary project as well, right? There's like an app that they can download and then you can participate in the project, right? PN: Yes. Anyone can submit pictures and anyone can help improve the data. It's like OpenStreetMap of Wikipedia, so you can improve even, for instance, street sign detections and object detections that we do in the images and feedback to for instance the OpenStreetMap project and to Wikimedia. RVB: Cool. Peter, maybe one more question because we keep these podcasts quite snappy. Where is this going? Where is Mapillary going? Where are graphs going? Any vision on that? Do you mind sharing that? PN: I think the concept of connected data is growing a lot and people are expecting and willing to put in much more effort into making data connected. That is not just on the global linked data initiative level, but even on pragmatic in-system level. So where I see graphs going is that they approach enterprise. Enterprise Connected data are even in normal installations, and as we see it here with a lot of developments in virtualizing hardware and so, you can partly build bigger monolithic kind of graph blobs. In Mapillary we have now over 1 billion properties in the database within one year, and that is one thing. The hardware is letting you scaling up these installations quite a lot, so you can scale up quite easily. And the other thing is that sharding graphs will be the forefront of data science. That is one of the remaining kind of challenges with graphs. They're very easy to query and so on, but sharding them is not trivial. RVB: So difficult. Yeah, yeah. RVB: I'm sure you've heard of the work that Jim Webber and Co have been doing on that, and we are really in the middle of starting that project again and making some good progress there. PN: Yeah, I'm really excited about it. Right now, in Mapillary, we will go for bounded boxes and shard by geography, and if you have a domain that lets you [shard?] it in a kind of interesting way, then you can do this already now, but auto-sharding would be awesome. RVB: Super. Peter, thank you so much for coming on the podcast. It was pleasure to talk to you again. I really appreciate it. I wish you so much luck and pleasure and drive at Mapillary, and thanks again. I look forward to speaking to you soon. PN: No problem. Nice to talk to you too, Rik. RVB: Hello, everyone. This is Rik from Neo and here we are again recording another episode for our podcast. Tonight I've got a wonderful guest from all the way over in Greece. It's the ever so lovely, Chris Gioran. Hi, Chris. RVB: Good to have you on the podcast. CG: It's good to be here. RVB: Chris, most people won't know you, at least not-- they might know your work but they may not know you as a person, so would you mind introducing yourself? CG: Sure. I'm Chris Gioran. I come from Athens, Greece. I'm a software engineer and I have been in the boiler room of Neo4j working in the kernel, deep within-- very close to a disk for the past four years - four years and something now. I've been in the kernel team since pretty much the beginning, and I've also moved over occasionally to the HA component, and I'm currently one of the two primary authors of the current HA offering when we moved from Zookeeper to HA, to PAXOS, basically. RVB: Chris, how did you get to Neo4j? Can you tell us a little bit of the history there? CG: Sure. When I was fresh out of university, one of my primary research interests was databases as an undergraduate and I worked a bit in the industry - working as a database optimizer, I guess. I was working with relational databases trying to make them work faster, especially because most of the ORM solutions, like Object Relational Mapping solutions that people used to create websites, are not that efficient with the SQL they produce. And being into databases, being really into software engineering and Java, I started looking into the NOSQL solutions that were popping up at that time, and Neo4j drew my attention because it was written in Java and it was - and it still is of course - a true ACID database and I really wanted to get into the actual implementation of the thing instead of just being a user. So I started reading the source code and I wrote the page describing how Neo4j manages its transactional aspects, how it stores information to the disk, how it ensures locking, isolation, all the good things that we've come to expect from databases. RVB: You were not working for Neo at the time, right? RVB: You were just a community member, right? CG: I was just a community member - if even that. I was just a guy interested in how it works, basically. CG: I wrote those articles and Peter Neubauer picked them up along with the rest of the team - which was very young at the time - and we got to talking about it. I got the opportunity to write some code. Basically, it was around getting external transaction managers to work with Neo4j so that you can have real two-phased commit between, for example, Neo4j and another database like MySQL. And we integrated that into the kernel and as they say, everything is history after that. RVB: Yes, the rest is history, absolutely. And then you started working for Neo as a software engineer. What were some of the main things that you worked on? You mentioned the HA implementation, right? CG: Right. Like I said, I started off working in the kernel, basically. So my first big task was moving into the new property store that we use right now which is more compressed than the original versions, taking up less space, and it's also more efficient because it takes up less memory and you can read more from disk with one go. After that though, I started moving to HA. Initially I tried to optimize the way that we used Zookeeper to make big cluster offerings work more efficiently, but then we saw the shortcomings of that approach. And me and Rickard Øberg, we got down and we rewrote the way that HA works and we moved away from Zookeeper which, great software as it may be, it wasn't fit for our purpose. And we wrote, from scratch, a Paxos implementation which does pretty much the same thing but in a much more controlled fashion in a way that we can debug it and maintain it and making it finally performant. RVB: And Paxos, Chris? So just for our listeners - Paxos, that's a protocol, right? It's a high availability protocol--? CG: Basically, it's a distributed consensus mechanism. It's one of the primary protocols used for atomic broadcast, and in simple words it means that it makes sure that all the machines in the cluster know exactly the same things, even in the face of partial failures or complete failures. And that's what we use. RVB: That's what Neo4j, the current version - 2.2 - uses, right? CG: Yes, that's exactly right. Since 1.9, basically. 1.9 had both Zookeeper and HA as an offering. You could switch between the two, or close anyway. 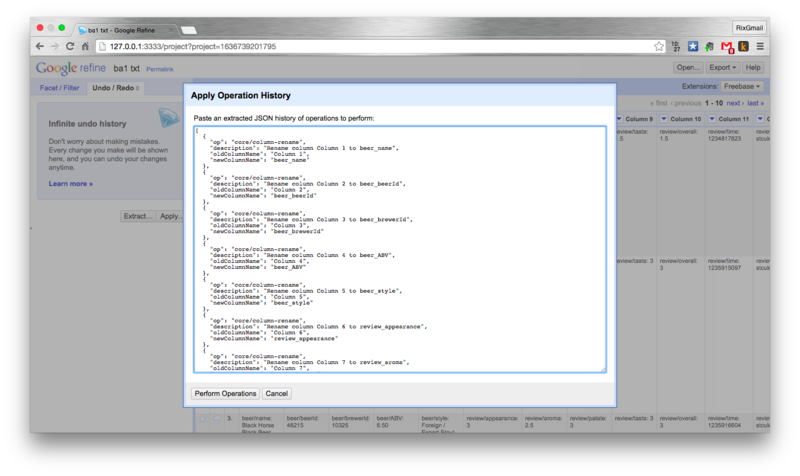 But since 2.0 HA, the current Paxos offering has been the only thing that we use. RVB: Maybe I can sort of quickly zoom out a little bit. You mentioned that you were interested in databases already, but was there anything specific about the graph model or the graph database model that attracted you to Neo? What did you like about Neo at the time when you started using it? CG: My first interest in Neo was mostly the technology behind it. It was a grassroots database that had ACID guarantees, and that's what drew me to it. It wasn't the model, to be honest, but very soon I came to realize getting involved in all the ecosystem and seeing how people used this both as community members and as large deployments that we had at the time, that even though it was such a small code base, and it really wasn't as mature as most of the relational offerings, it offered very similar guarantees but insanely faster performance. That was the thing that struck me first. So it was the lack of joins, basically. CG: The other was the lack of impedance mismatch between the object-oriented paradigm of programming and the way that you store stuff in a graph. Because when you use a relational database, you have a round peg that you try to fit in a square hole, basically. But when you have a graph, you can map pretty much one to one all your domain objects onto the disk and you will never know the difference. And testament into that has been the Spring framework which was essentially the effort of just one person, Michael Hunger, who singlehandedly provided an ORM from Spring onto Neo4j. Whereas, if you see solutions for the corresponding relational problem, they are insanely complicated and have lots of shortcomings. RVB: Chris, where is it going? Maybe we can zoom in on that one a little bit. I know that you are taking on some new adventures personally. You can talk about that if you want, but where do you think the graph space or the graph database space is going as well? What's your opinion on that? CG: Well, judging from the start that we have seen that the market wants - like our customers as well as our long research interests and the way that we want to take things - I can see that I see two trends. One is graph processing, global graph processing. That's something that looks really, really interesting, which is-- whereas most of the new SQL solutions right now, perhaps they are better suited for online transaction processing. We also want to move into graph global queries and do application batch processing of very, very, very big graphs. Provide functionality like a graph compute engine or huge graphs that you can process really fast and do data mining or do interesting calculations. RVB: Like distribution of queries and all those types of things? That's what you're thinking of? CG: Exactly. And that actually leads us nicely to the second thing that I'd like to see which is really, really big graphs. Right now, there is no real offering for having graphs that are practically unlimited in size. 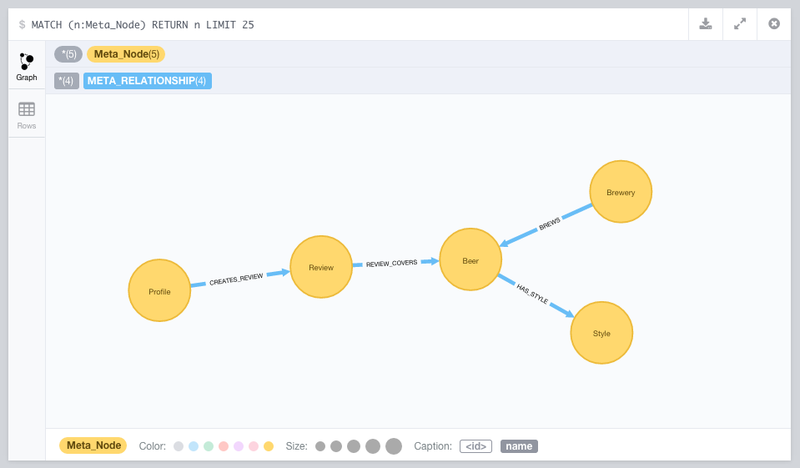 This is something that we are looking into for Neo4j. We've been doing so for a long time - semi-publicly - and we really want to move into that direction. I'd really like to see clusters of thousands of machines processing huge amounts of data with the ease that we've come to know from Neo4j when it comes to single instance data. So it's not only performance, it's also the ability that you gain, the kinds of stuff that you can do very easily when you have that technology. RVB: Chris, you personally, you are going to do some new interesting adventures, right? Do you want to talk about that? RVB: Or do you want to mention that? CG: I can talk briefly about it. Apart from my software engineering interests and graphs in particular, I'm also very, very interested in doing some work in journalism. For the past two months, I think, I've been working as a data journalist in a new venture, like an NGO in Athens, Greece, where we try to do that sort of work. Currently I'm the only junior data journalist on staff. RVB: Does it have a name already? Does the agency have a name already? CG: Yeah. The name is The Aeneosis. Which sounds like a Greek word, but it really isn't. It's a portmanteau. It's a concatenation of two words from Greek. CG: Sure, when we launch because we don't have a site right now. We're launching mid May. But that's one of the things that-- data journalism is also a domain that can gain from graphs, by the way, and we already have projects starting that will be using Neo4j basically for ontology processing to start with. RVB: Chris, I think we're going to wrap up. We want to keep these podcasts reasonably short. Thank you so much for spending time with me. I really appreciate it. And good luck with your ventures both at Neo and with your agency. Thank you for coming online, Chris. I appreciate it. CG: Thank you for having me, Rik. Thank you for doing this, and thank you for everything. 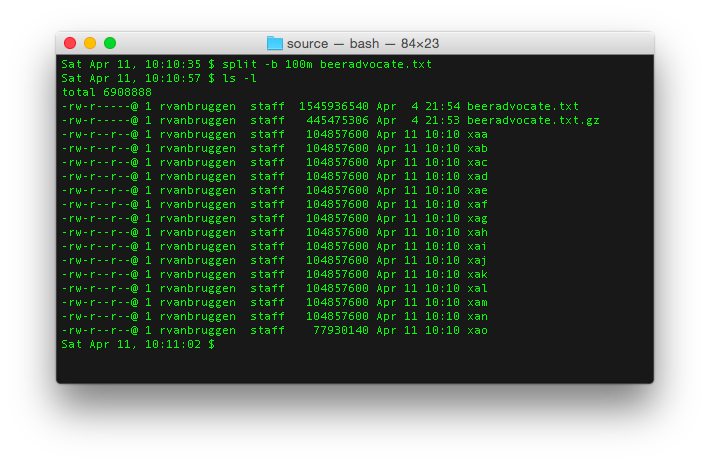 After the previous post on the SNAP Beeradvocate dataset, we were ready to import the dataset into Neo4j. 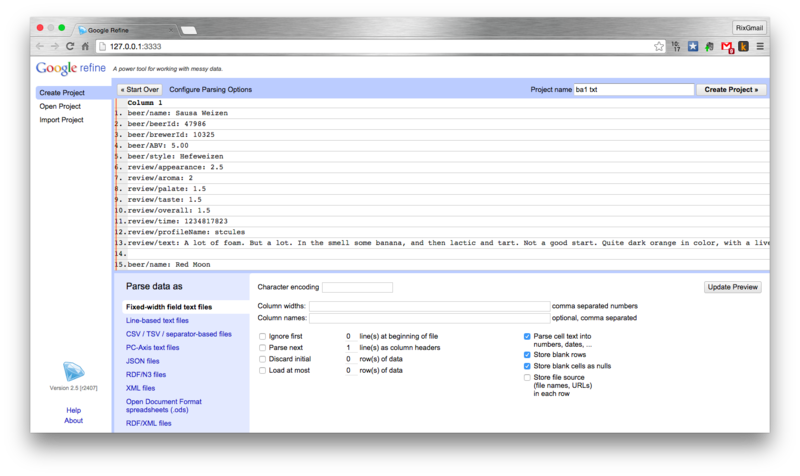 We had 15 .csv files, perfect for a couple of runs of Load CSV. On some of the import files (remember I had 15) this query would fail - run out of Heap space. Now this is a very tricky thing to troubleshoot in Neo4j, so I had to call for help. My colleagues all immediately volunteered, and of course within the hour Michael had reengineered everything. The first thing Michael asked was my query plan (using the EXPLAIN) commando: this was particularly interesting. Michael saw that there was a step in there that was called "Eager". Mark has blogged about this elsewhere already, and it was clear that we had to get rid of this. 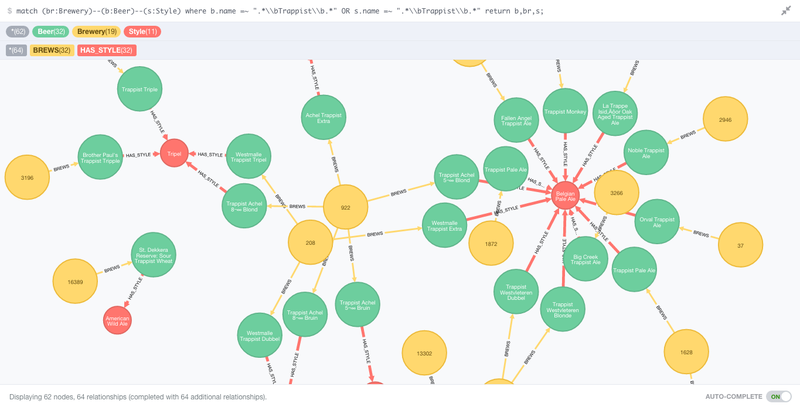 UPDATE: in the original version of this blogpost, I was working with version 2.2.0 of Neo4j. 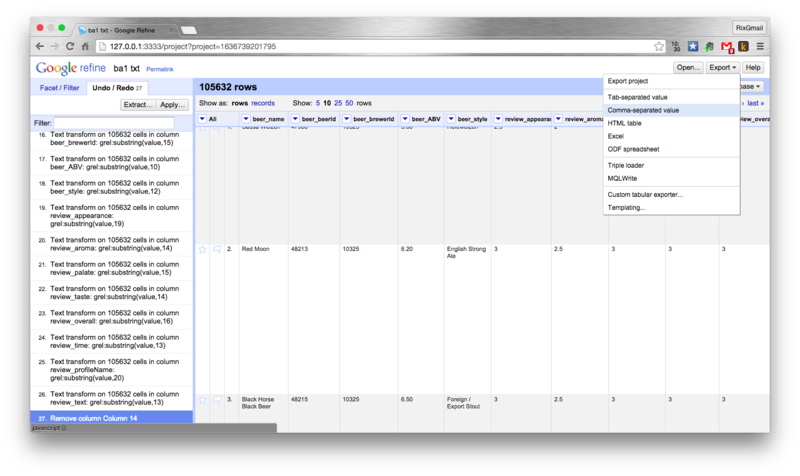 Recently, 2.2.1 was released - and guess what: the queries run just fine. Apparently the team had made some change to how Neo4j handles composite merge updates - and it now just flies through all queries, even with my old, sub-optimal version of the queries.. Kudos! Let's explore some of the differences. Michael's version included the same indexes as mine - but also included a UNIQUENESS CONSTRAINT. This seems to be a good idea because it makes the MERGE-ing of the data unnecessary - you can just CREATE instead. 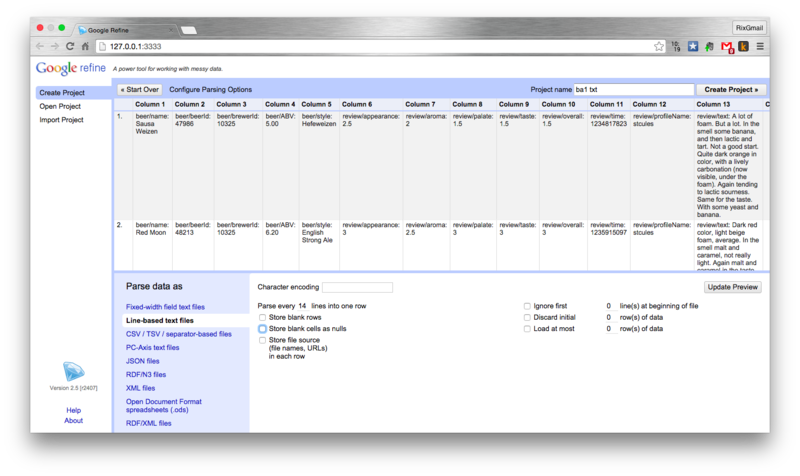 you reorder certain parts of the query to come earlier in the sequence. 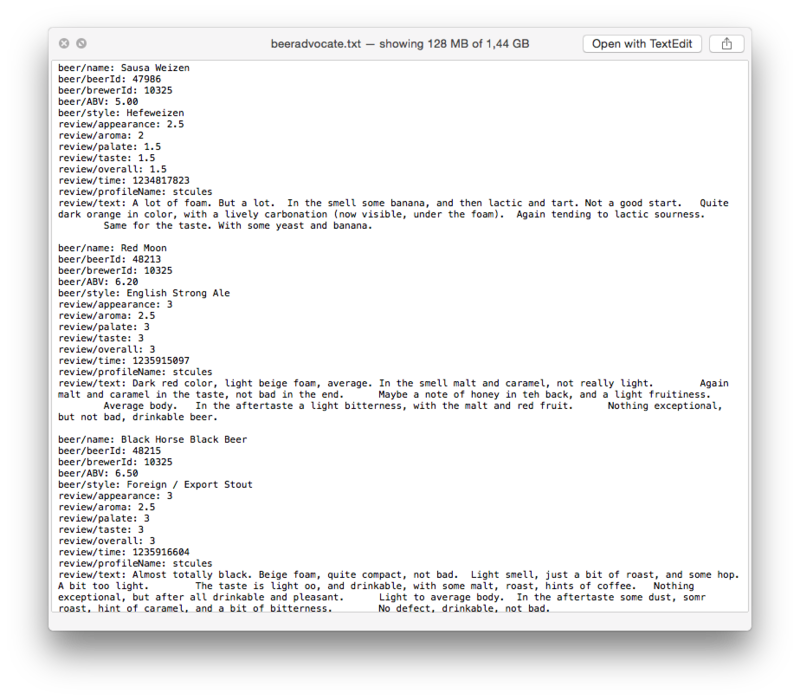 I noticed that he did the CREATE of the review first, then transferred that result into the next part of the query with WITH, and then did two matches (for Beers and Profiles) to connect the Review to the appropriate Beer and Profile. To be honest, this seems to have been a bit of a trial and error search - but we found out after talking to the awesome devteam that this should no longer be necessary as from the forthcoming version 2.2.1 of Neo4j. RVB: Hello everyone. My name is Rik, Rik Van Bruggen from Neo Technology and here we are again recording another great session for our Neo4j Graph Database podcast. It's a remote session again over Skype and all the away across the Atlantic this time because I've got Philip, Philip Rathle of VP of Products for Neo on the other side of this Skype call. Hi, Philip. PPR: Hi Rik and hello to your lovely listeners. RVB: Yes indeed. There's a little bit of a delay on the line, I think, but we'll manage. Thanks for joining us and do you mind introducing yourself a little bit, Philip, so that our listeners know who you are exactly. PPR: Sure. So I'm Philip Rathle. I work out of San Mateo, California headquarters here in Silicon Valley and I've been with Neo for just almost three years and essentially I do all things product management. RVB: Yeah, absolutely. As I recall, you started about the same time as me at Neo, didn't you? PPR: I think so. I think we were within a couple months of each other. RVB: Absolutely, yeah. So Philip, this podcast is always nice and short and sweet. There's two big topics that I want to cover with you. The first one really is, what do you love about graphs, and what attracted you to graphs? You've got a long career in databases behind you already. What brought you to the graph, and what do you love about them? PPR: You're right. I had spent most of my career - I guess close to 20 years at that point - working with data, and working with databases, and of course all of that was relational for the most part. And some of that was doing consulting, some of that was doing TPA and data modeling work and some of that was actually doing product management around tooling for data modeling, and database administration, database development long before it was popular. Thankfully, it's gotten popular these days. I've been fascinated with this idea that there's all this information and that there's an opportunity to better interact with the world, be more effective, use time better, give people what they need, what they want faster by leveraging information in good ways. PPR: And there's this one distinction we'd always talked about, was the difference between data and information. Data is this raw stuff that's use at your own risk, and then you synthesize it and come to understand it and model it, and use it, and it becomes information and therefore valuable. And I was fascinated with this idea that you could have a data model that reflected where the logical and physical model were the same, meaning that where the way that a business person viewed data and viewed information could actually be much, much closer - if not almost identical - to the technologist's view. And one of the big disconnects that's always happened with projects, and one of the big costs, and a lot of the frustrations come out of the fact that business and IT are misaligned. PPR: But I don't think that's the root cause. I think that's a symptom of the fact that the view-- the business and the IT were viewing things through-- viewing the same thing through a very different lens, and so it became hard to communicate. That was the thing that really hooked me to start, and as I started digging more and seeing the kinds of other things that people can do with it and the kinds of performance you can get out of a native graph database, and the kinds of scheme of flexibility, and not having to spend months and wait for migration windows, where you would do this huge all or nothing thing, and maybe spend half an evening rolling it forward and half and evening rolling it back, those were pretty nice side benefits you could say. RVB: Wow. Yeah, absolutely. I mean, the model is something that has been coming over this podcast time and time again. It's something that people really love about the graph. Maybe we can turn a little bit to what about Neo4j specifically, right? We've released this beautiful new version 2.2 this week, congratulations. PPR: Super happy about that. RVB: Yeah, absolutely. Everyone is, I think, and the feedback has been super. But what do you love about that? What's so great about 2.2, maybe a couple of minutes on that? PPR: Well at the time I joined Neo-- and by the way I felt so great about the stuff, I actually joined on my birthday, can you believe that? At the time, and this was in mid 2012, I saw that this had amazing potential, not only potential it was actually being used for really serious stuff by some big companies, by some cool startups. And the observation though is that it's really, really amazing, but it takes a little bit of hacking and wiring and working around things to get it to work. So, it was an amazing technology if you invested some amount of time getting it working. RVB: Right. That's where I get my gray hair, by the way [laughter]. PPR: Yeah. I believe you [laughter]. RVB: The early versions-- I mean the early versions of Neo were difficult, right? I mean, they were much more difficult than these than we have right now. PPR: Yeah, this is what happens when you have brilliant engineers who are focused on the really, really hard stuff, which is building a database engine that is reliable and fast and scalable, and that's such a gargantuan task that it can be easy over time to forget the easy stuff. And it's not easy actually, user experience and defining the right surface and access methods and tooling isn't easy, but it's a very different mindset. And so we-- around the time I joined, all of the work-- well, it's an ongoing thing, but there have been so much work done to create a database that was solid and fast and could scale, that there hadn't been very much investment and actually taking that technology and making it more broadly accessible and easily usable. And so since the time I've joined, it's been an ongoing journey of - and we can talk about the different release themes and how we shift from released to release - what our focus is on, but it's steadily evolved to become something that's not only approachable, but I think really pleasant in a lot of ways. I mean, geez, graph-- karaoke, how many databases do you see doing that? RVB: Absolutely, I'm a big fan [laughter]. No absolutely. So I mean it's been a fantastic journey I think both in terms of usability the 2.X series of Neo4j, but in 2.2 I think it's amazing what we're seeing in terms of performance right? Yeah. So with 2.0 the focus was-- let's see I joined before we just started working on 1.9. I think 1.8 had just come out and 1.9 was all about improving the infrastructure used to do the clustering so you didn't have to run a zoo keeper cluster alongside a Neo4j cluster. And then with 2.0 the shift with the major version was we're going to focus on the Cypher query language and-- as opposed to essentially native Java APIs, which if you're not a Java developer or you're not into writing lots of imperative code is no where near as approachable and convenient as writing a declarative query, particularly one that has these characteristics of compactness and readability with your notes enclosed in parentheses, and your relationships with your arrows and so on. PPR: And to do that, we found we actually needed to change the fundamental model and add this thing called labels. And we also decided-- had this observation that the user interface that we'd had up until then, while we considered it, at least I considered it, really, really limiting because I came from a tooling background, turned out to be something that people really, really loved and appreciated. 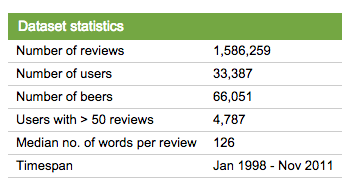 And that told me anyway, that what they appreciated was the power of being able to actually visualize the graphs. That's a unique aspect of the model. We focused on those three areas, came out with a release that was much more consumable. As you often do with these things, you swivel the chair. You work on features, and then you swivel the chair back and you say, "Okay, I'm going to take the whole thing, but particularly the ensemble in cleaning these new features and I'm going to make it perform even better in every way." And perform means latency, i.e. response time. It means response time under high load, because response time of one query at a time is maybe what you notice when you're trying the technology out. But that's ultimately not working. You use it for production, you're going to have lots of things happen at all at the same time. PPR: And actually, one of the things that wasn't headlined was a huge investment in quality. We have, on any given day, dozens to hundreds of Neo4j instances on cloud hardware, physical hardware, clusters, not clusters, big clusters, small clusters, doing all sorts of tests, long running tests, and stress tests, and load tests, and let's pull the plug tests. That's ultimately what a database needs to be. It needs to be resilient across a whole range of edge cases where any given person is going to be dealing throughout the course of their life of their application with hundreds or thousands of those edge cases. So, there are hundreds of thousands of tests that run internally on a daily basis and just hammering the database. That's always happened, but it's happened even more, like significantly, significantly more with 2.2, so I feel really, really great about that. RVB: Yeah absolutely, I think the initial feedback has been absolutely fantastic. It's been a really proud event this week. Maybe I can switch gears a little bit and ask you one last question, Philip, if you don't mind. And that's you're VP of Products, so what does the future hold? Where do you see this going maybe short term but primarily also long term? Where do you see Neo and graph databases go? RVB: the Steve Jobs approach, right? [chuckles]. RVB: That's probably why the old Codasyl databases failed, isn't it [chuckles]? PPR: Well, I think they’re few reasons for that, I think the other is you didn't have the model flexibility either. You're still put things in buckets and so rather than having individual data items have a relationship with another individual data items so, Rik colleague with Philip, you actually were creating structures into which you-- which our generic buckets and you throw those in and that's not dissimilar from relational databases. Of course you have an equivalent on the logical side. There's a conceptual meta model with a graph but then the data itself actually looks just like the meta model you're relating physically individual things not buckets of things. And so, the technologies evolve to make more things possible and it's now just a question of how fast, and in what directions, that wave will grow different industries and different use cases where there's an appreciation and discovery of what are the new things that I can do or what are the existing things that I can maybe do in real-time instead of batch pre-compute? RVB: So what might be your personal favorite use case? Do you mind pulling one out? PPR: Yeah, then it becomes a graph effectively, and then connecting these two hierarchies adds another dimension. That's actually a really good one. Sometimes we see ones that are really unexpected and fun and that's part of what's made this whole journey really interesting. 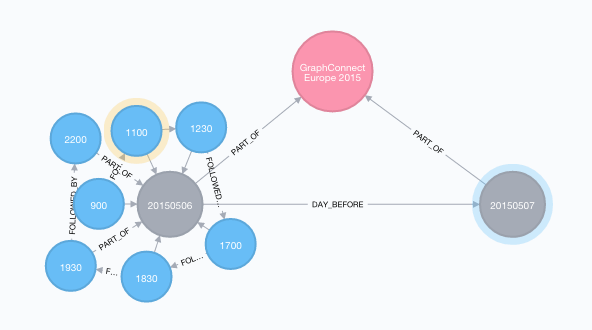 I love going to the graph gist page-- I think it's gist.neo4j.com or maybe its neo4j.com/gist. PPR: Where people will just come up with wild and crazy but often times it-- of course that's a really good fit. Weighing an airplane was a surprising one. I didn't expect that. Turns out you can do it much faster with a graph. Cool. What I'm hearing is lots of more beautiful use cases to come up, right? So that's the most important thing you see coming up? So that then drives the features, and I think, "Where does it create demand?" It creates demand for more convenience, so there'll be more of that, improvements in the developer experience, the ops experience and so on, as well as continued improvements in scale and performance. Those are really the themes we track and then quality and reliability underlying all of that. RVB: Cool, Phillip. We've already gone 18 minutes, so I'm going to wrap up if you don't mind, because we want to keep these reasonably short. RVB: Thank you so much for coming on the podcast. I really appreciate it. If people want to know more about Neo4j, there's only one place to go. You go neo4j.com or @neo4j on Twitter. If you want to reach out to us, I'll put the email addresses on the blog post with the podcast. Thank you so much Philip. It was great talking to you.